Join our food drive supporting St. Paul’s on the Hill Food Bank. We are asking clients to bring in non-perishable food items to the vet clinic Dec. 8-19. Help us support the St. Paul’s on the Hill Food Bank so that they can provide for others. It has been very successful so far. Thank you to everyone who has brought food in. We would like to fill up another big tote before Friday. 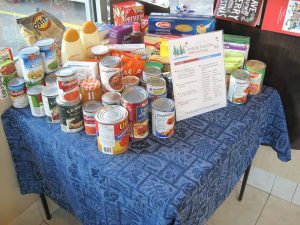 If you have any non-perishable food items bring them in to help support our local food bank.